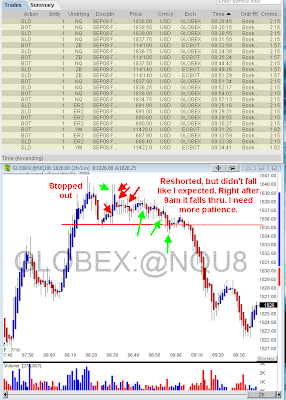 I took a short on NQ around 8:30am but it didn't fall; however, YM dropped 45pts during the same time period. 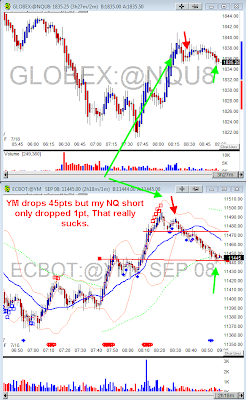 This had me worried, so when I saw a potential bounce setup in YM I exited my NQ short. 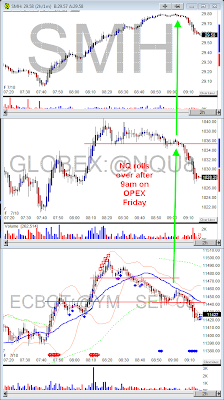 Right after 9am, SMH (tech sector ETF) broke and NQ dropped sharply catching up with YM's decline. I'm not sure if the 9 AM hour has significance, but it may with the overseas markets closing, so in the future I will track this time period on future OPEX days. A Choppy OPEX as usual. I'm mad about my NQ trade, but I Hit my goal for the day so I'm done. I'm working on refining some indicators as a result of seeing Richards new Volume splatter indicator. 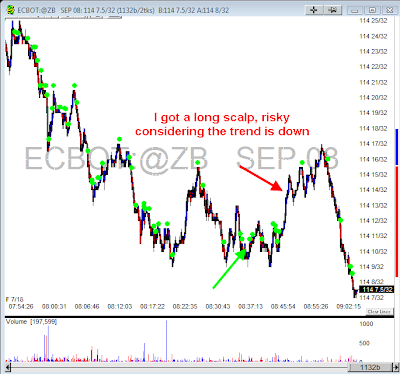 Here's a long scalp I got on ZB when I saw what looked to be a top in the stock indices. This is a picture from my Simulated account. Remember a few months ago when I made the Poll asking if AMR was a buy at $7.00. Well I held that position for 2 months and actually closed it out for a profit today. 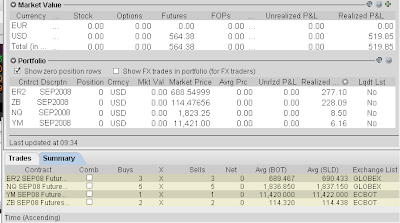 I also made $3,000 this week trading 1 contract on YM and ZN, one of my best short term swing trades I've made in the simulator in such a short period. 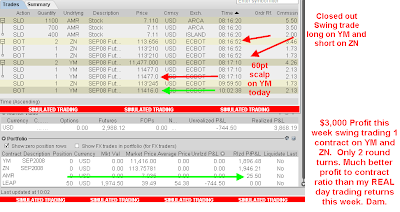 Over 350pts made in YM this week with just 2 trades. Congrats on the gain!! Nice trade.